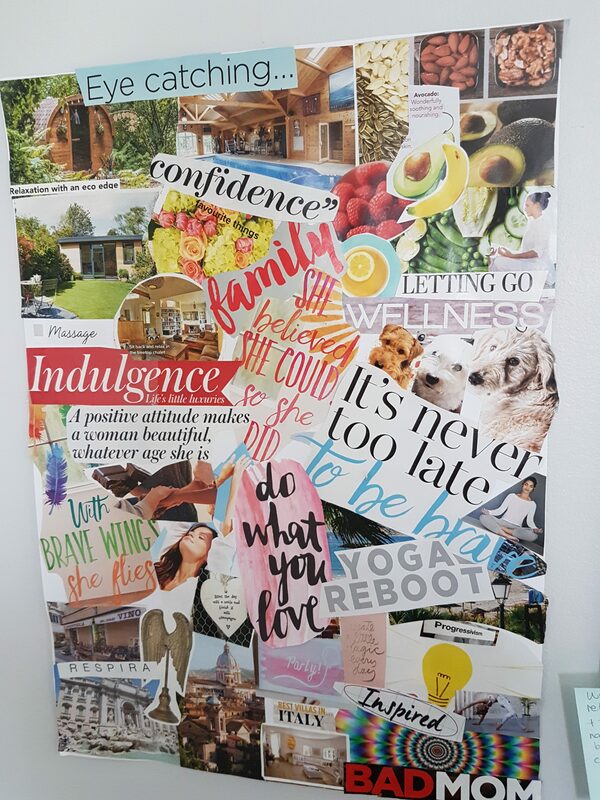 I first came across Vision boards at college while studying Fashion Design and Art, I loved creating them all those years ago and up until a few years ago I’d forgotton how powerful they are. 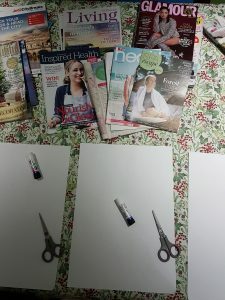 This year I introduced this creative task to my mum and daughter you could say we had a Vision Board Party. It’s a perfect task to do any time of the year, as I always say every month, week, day and hour is an opportunity to create your future. It’s great to be able to unravel your visions, goals and intentions from your head and see them clearly infront of you. I personally think this option can work better than the standard New Years Revolutions as you naturally look for inspiration rather than looking on what you need to change and fix. I covered setting Intentions more in depth earlier this year in classes, I hope you’re still nurturing your chosen word of the year. You could combine your choosen word with the Vision Board and place it slap bang in the middle of your board if you like, that’s the beauty of this task there are NO RULES! Do you find that you’ve been placing self limiting beliefs on yourself ? If so allow yourself the time to be creative in this task, empower yourself, motivate yourself and most importantly focus on what you want to attract into your life and how you want to feel. Decide if you’re mounting your pictures onto a cork board or gluing them onto paper. Gather as many magazines as you can, a pair of sissors and glue sticks. Block out a few hours and choose a space that allows the mind to open. Pick out images/quotes/words that resonate with you and that light you up inside. 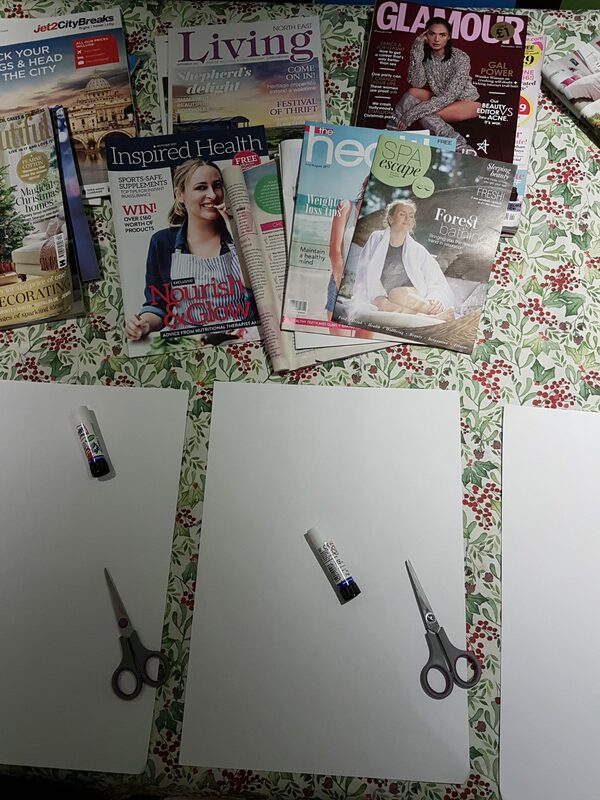 Once you have cut out all you need then begin to arrange tapping into your creative side…we all have one. Once you’re happy with the result fix it all into place. Now display it somewhere you will see it daily, our minds respond to visual stimulation. Once you establish this habit you can then meditate on a certain aspect or word. Doing this we plant seeds into the sub-conscious mind, an ideal time to meditate would be before bed or when you wake up. I hope I’ve inspired you to See it , Believe it and Achieve it. 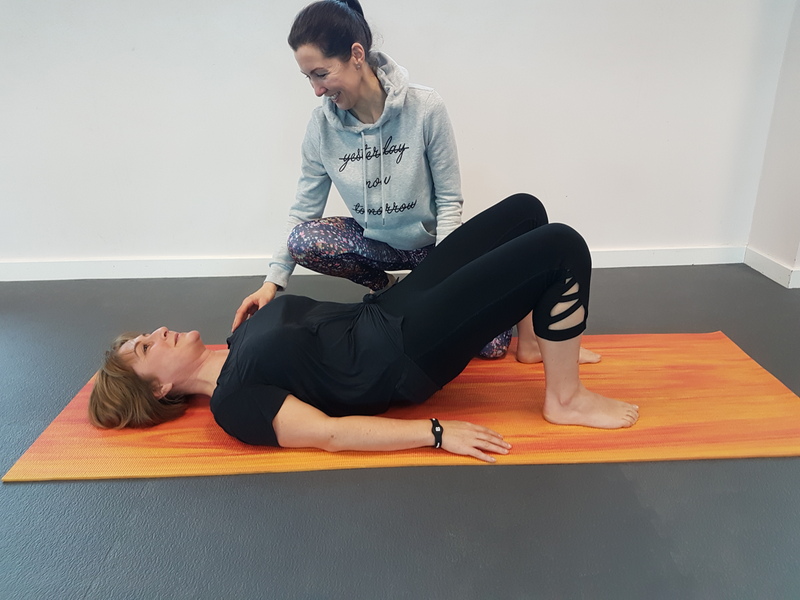 As always it’s an inside job and it’s the same with movement during class, what can you feel ?, does it feel good ? how would my arm feel if I choose a different pathway ? It’s about letting go of how something should look and just feel and be present because we’re all built differently and we are all unique.